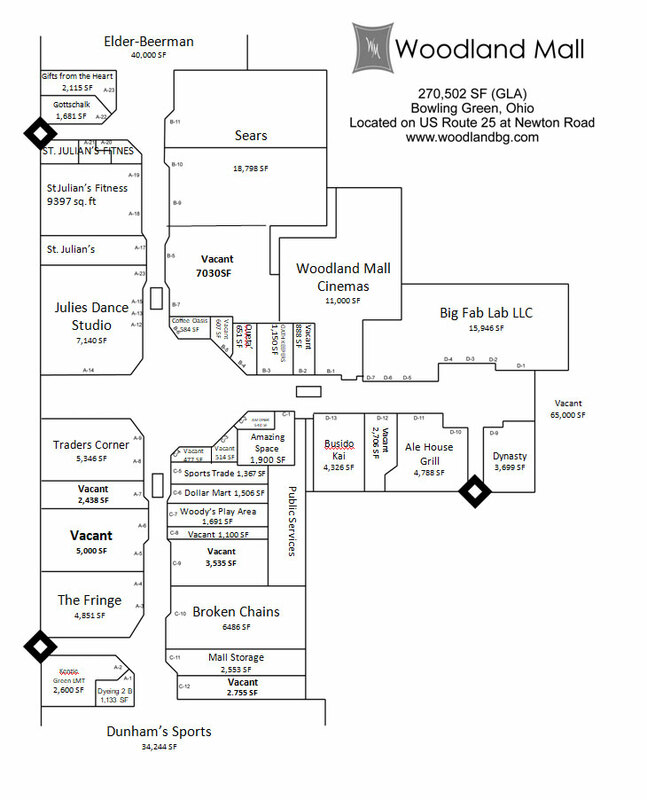 Woodland Mall is located at the corner of North Main St. (Rt. 25) @ Newton Rd., Bowling Green. It is a Community Center which opened in 1987 and was last renovated in 2002. It is an Enclosed shopping mall with 1,660 parking spaces and a food court with 250 seats.. It covers an area of 270,502 sqft. and has about 61 stores.